They say ‘of all the books in the world, the best stories are found between the pages of a passport.’ Travelling enriches in ways no other activity can enrich us. It makes us wiser, worldly and opens our hearts and minds to the vastness of this world. Traveling to little known faraway places makes one modest. You see what a tiny place you occupy in the world. Modern humans started of as nomadic wanderers, some of the earliest accounts of history come in the form of travel diaries by early travelers like Fa Hien, Megatheres to name a few, So, to say travelling is in our gene wouldn’t be an understatement. The ways and means of travel have been changing, while some prefer to take package holidays, some like to go backpacking. 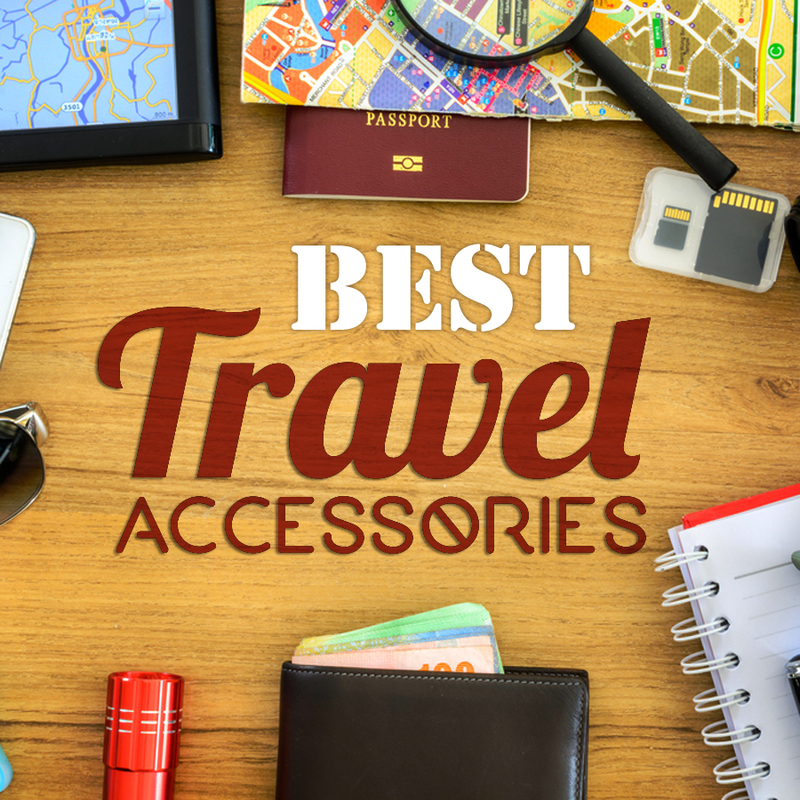 Whichever may be your style of travelling, it safe to keep few travel accessories ready for a smooth and hassle-free trip. For a peaceful slumber carry neck pillow, eye mask and ear plugs– let these be permanent members of your travel bag, be it a long-haul flight, or an overnight road trip, neck pillows, eye mask, and ear plugs gives you a peaceful slumber. You wouldn’t be able to enjoy your chosen destination without proper rest. Pillows specifically designated for conditions like cervical or lower back pain helps you enjoy a pain-free holiday. Toiletries are essential for any trip. A trip is no excuse to compromise on personal hygiene or skin care. Get travel-friendly toiletries bags for hassle-free mornings during your trip. Choose toiletries bags with hangers to freshen up with ease even in cramped hotel rooms. Carry spill proof and leak proof containers to avoid your entire wardrobe smelling like shampoo. If you don’t want to carry any unnecessary weight in your luggage, toiletries specifically designed for the duration of trips are also available. Safety wallets and organizers– whether you are travelling alone on a business trip or with family on a pleasure trip, money, cards and travel documents are the most important, it would be a nightmare to lose them. These must be kept handy yet in a secure way. You can choose from a number of travel organizers, there are waist pouches, neck pouches, wallets with chain and key for extra protection. Invest in a good organizer and enjoy a worry-free vacation. Comfortable footwear– Hours of sightseeing can play a havoc on your feet, so sensible shoes are mandatory for any holiday trip, usually trips involve a lot of walking around. Invest in good comfortable sneakers or flat ballerinas, but you don’t have to compromise on style. Comfortable shoes need not be boring. Foldable backpack – If you often find yourself buying extra bags at the end of your trips in posh travel destinations, foldable backpacks are the answer for you. Never cut down on souvenirs and mementos for your friends and family on account of space. Always carry and extra foldable backpack with you. You will notice it comes in handy at the last minute.